This new L.E.D. 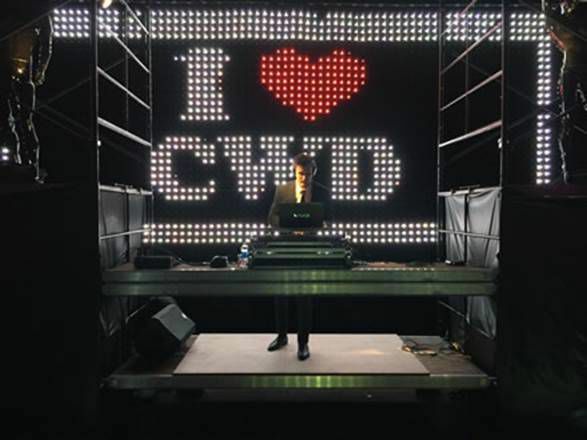 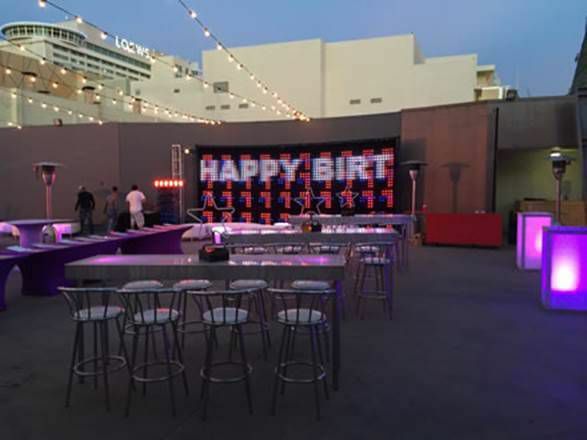 Video Curtain can be used in many locations…on stage, behind a DJ, behind a food station or even flown overheard. 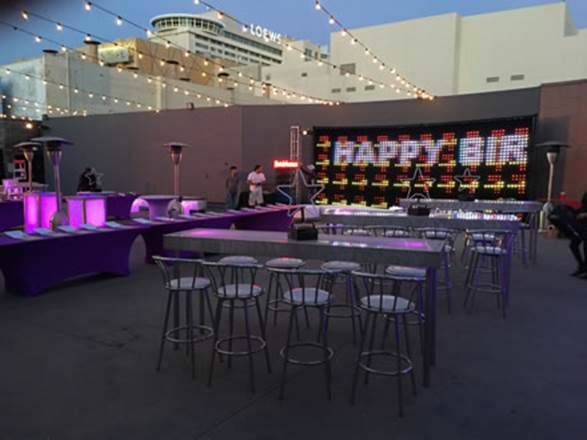 We can use photos, graphics, videos, and animations and also incorporate custom scrolling text “on the fly”. 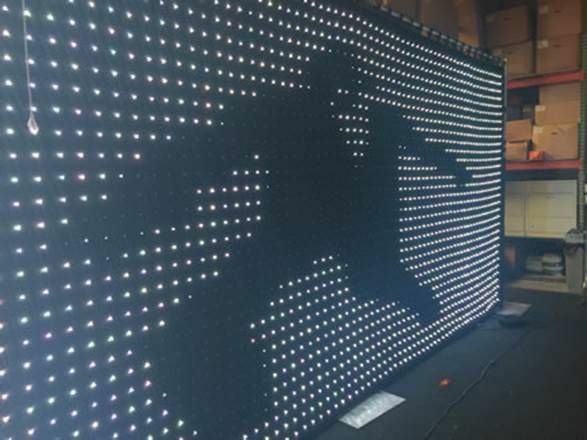 It is about 22 ft wide x 10 ft tall. 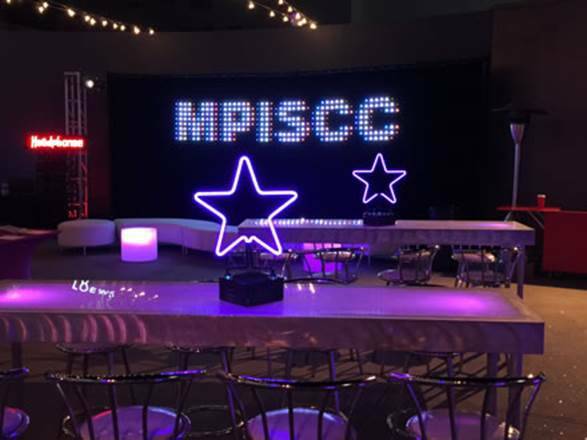 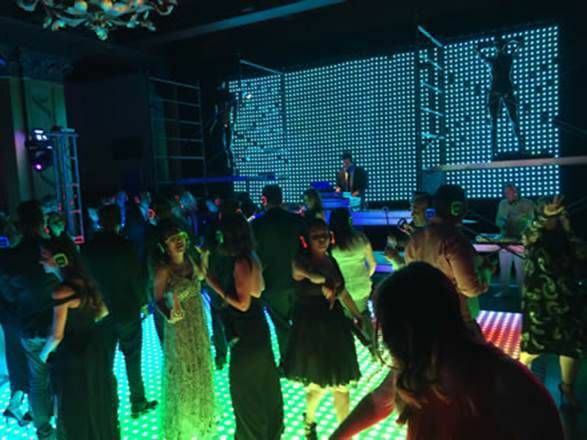 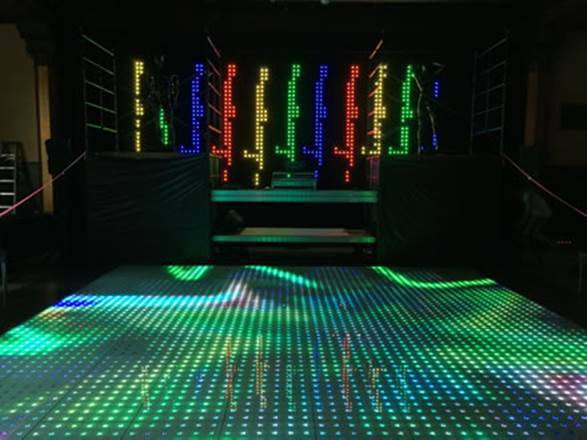 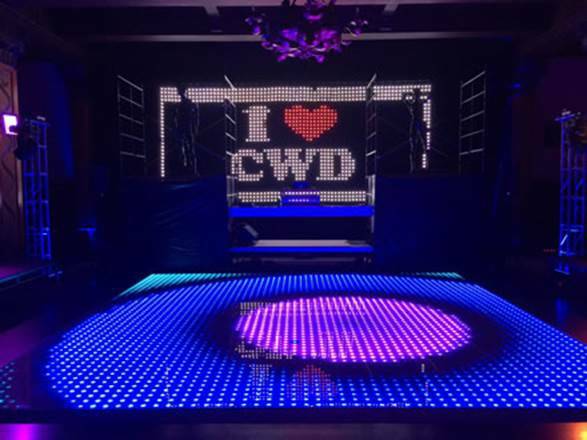 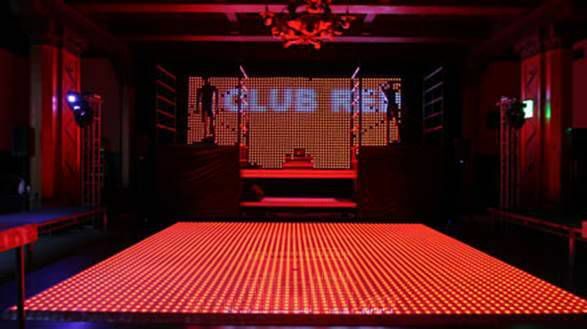 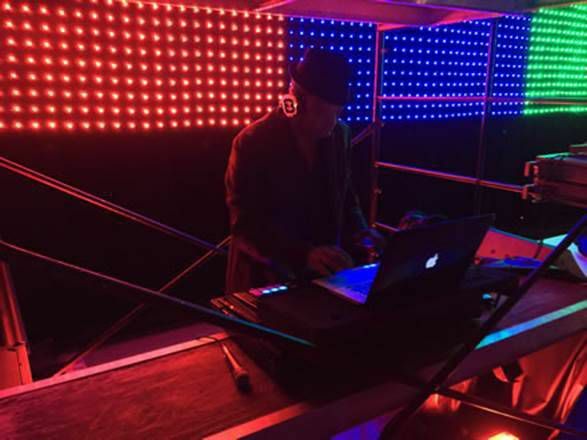 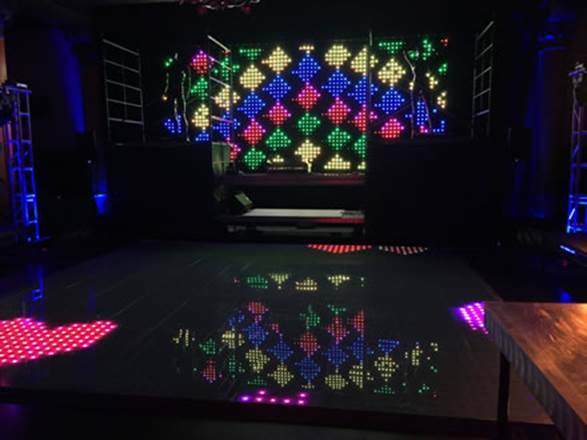 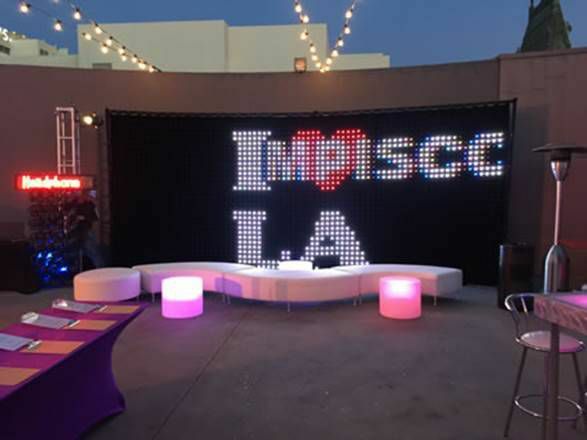 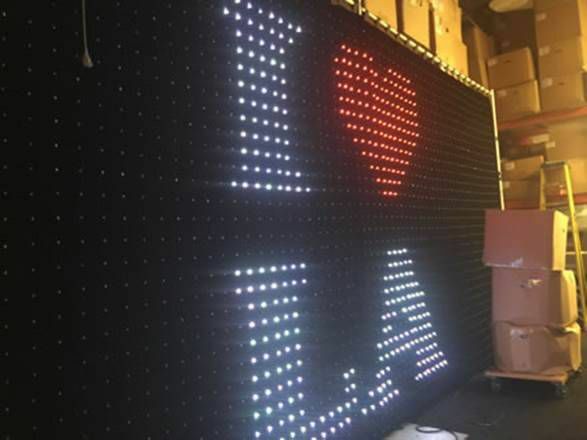 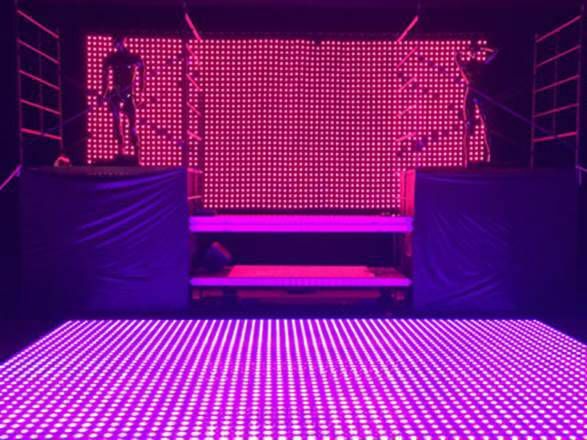 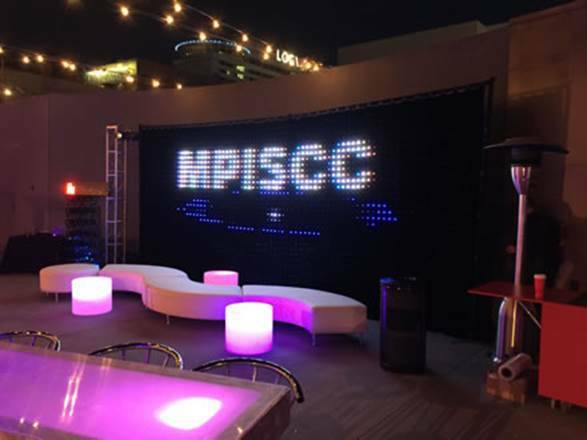 This is an affordable alternative for clients that cannot afford our new LED Video Dance Floor and certainly a more affordable option than a true LED Video Panel Wall. 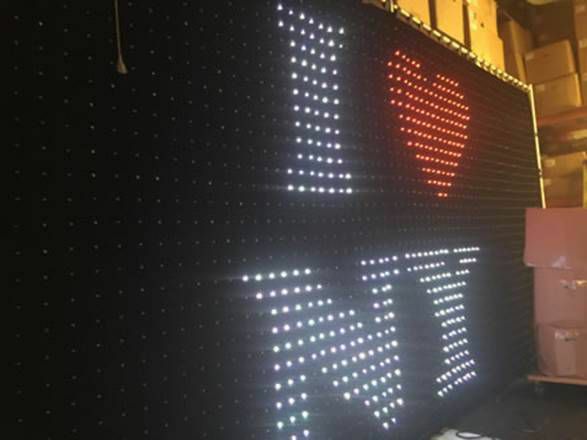 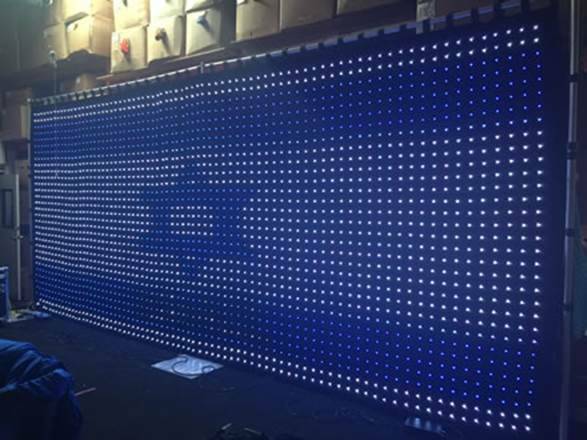 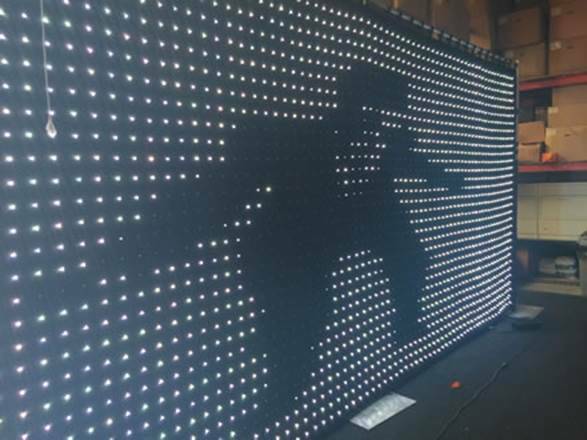 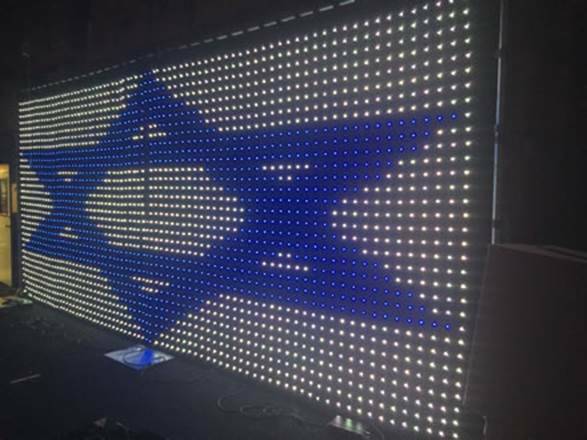 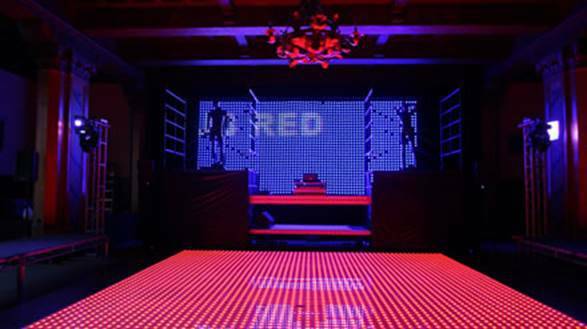 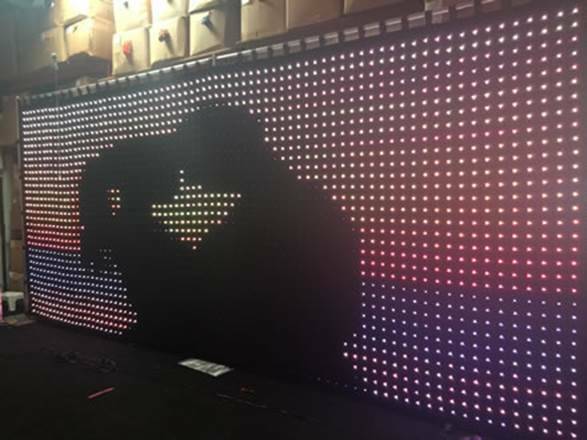 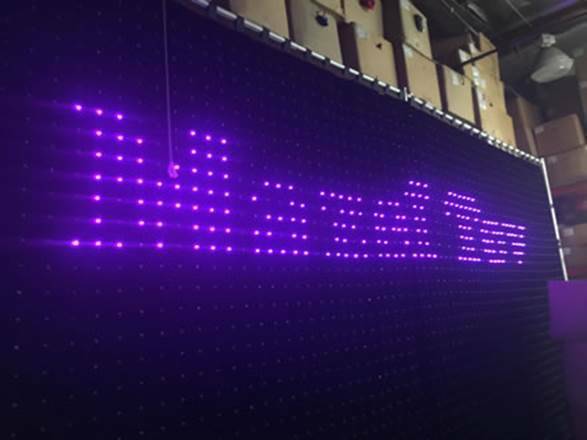 Programmable LED Video Curtain can be used for stage treatment, buffet treatment or perimeter. 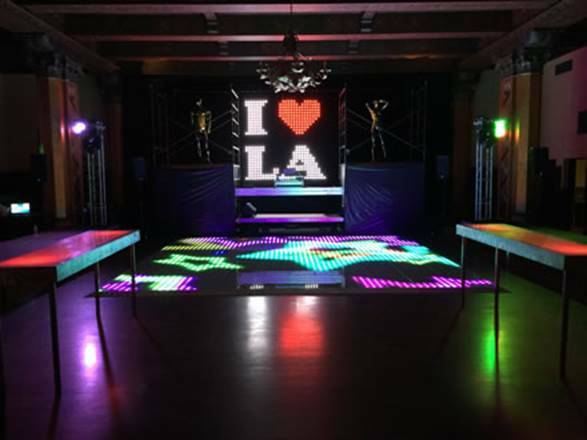 Custom photos, flash files, video, GIFs can all be imported and used. 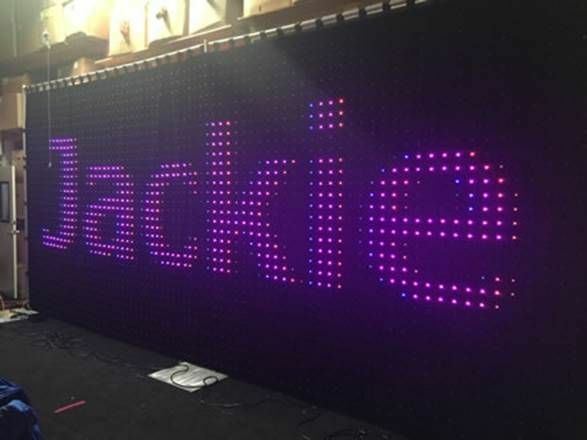 Additionally, custom scrolling text can be added to any display.